Which Exotic Bug Are You? What's your highest form of education? Are you afraid to fly in an airplane? You're a pretty chill person and like to go with the flow. But that doesn't mean you're flaky. You're also smart and grounded. You're comfortable with who you are and know how to get what you want without stepping on any toes. You're a natural delegator and good hugger. You're friendly, but also honest. People are drawn to your ability to tell it like you see it. You're quick-witted, smart, and always prepared. You take risks, but only after you've weighed all the consequences. You're protective and loyal. You have a close knit group of friends and family, and you'll do anything for them. You're wise and always feel like an "old soul." People are drawn to your organizational skills and your ability to solve problems quickly. You're courageous and tough. You never back down from a challenge. You're also a lover and wear your heart on your sleeve. Sometimes you're emotional, but that just means you care a lot. You're compassionate and go out of your way to help others in need. You're strong and take chances to reach your goals. People are drawn to your bravery. You're unique, creative and play by your own rules. You've never really fit in, but you like it that way. You're cool and comfortable with yourself. You're a dreamer and determined to achieve your goals. You push boundaries and take chances. You're always looking for the next big challenge and figuring out ways to create something innovative. People are drawn to your passion and energy. You're an easily excitable person and people are drawn to your energy. You're passionate and never take no for an answer. You always follow through on a promise. Some people find you intimidating, but that doesn't really bother you. You're very goal-oriented and shoot for the stars. You believe that with dedication and hard work, anything is possible. You're energetic, lively, and always the life of the party. You're funny and natural story teller. You're easy-going, optimistic, and live life to the fullest. You're flamboyant and easy to talk to you. You're lovable, huggable, and approachable. You're friendly and enjoy conversations with strangers. You're helpful and go out of your way to help others. Some of Mother Nature's most amazing creations are big, bold, and beautiful bugs. 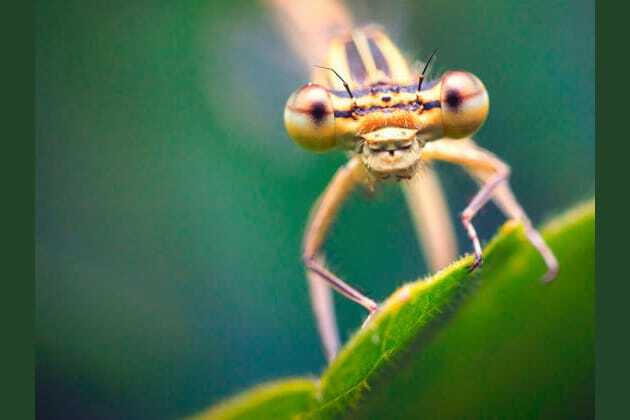 Our bug-eyed friends aren't much different from us. Find out which exotic bug you're most like!